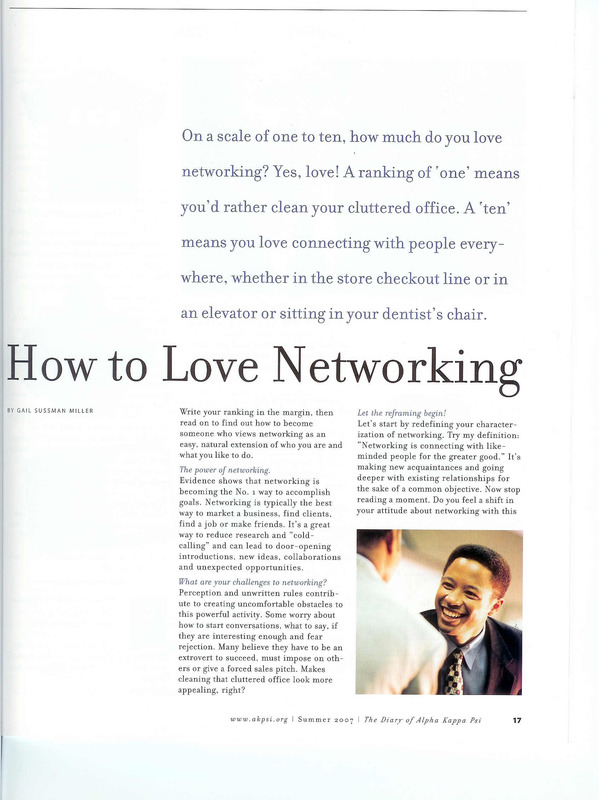 How to Love Networking is the featured cover story in the Summer 2007 issue of The Diary of Alpha Kappa Psi, a professional business fraternity. 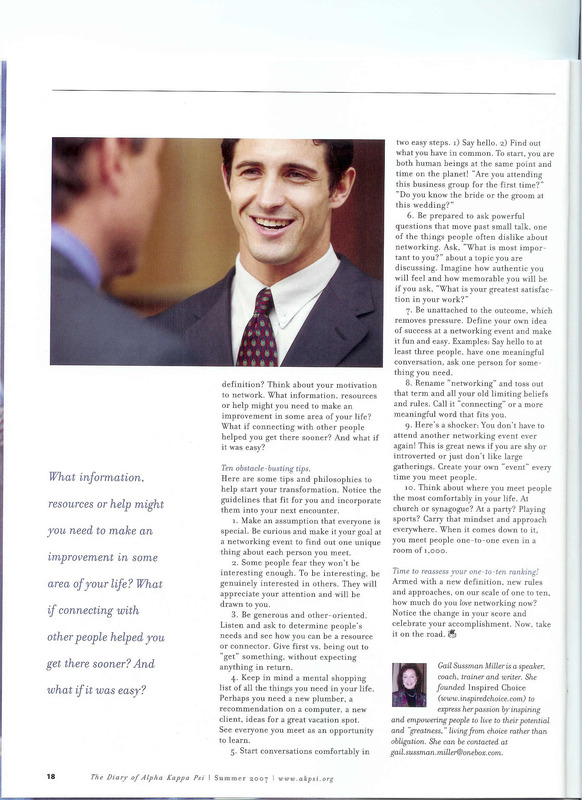 This article features 10 of Gail's 20 tips and philosphies to help business women and men learn how to love networking more by shifting their mindset and behaviors. Right click and "save target as" to download a copy of each page.